Learning and growth are vital for all of us to flourish and adapt to fresh challenges. We believe that people are phenomenal – unleashing their skills and talents is our mission. Our workshops help them find new ways of looking at the world and innovative ways of working. Using games, imagineering activities and confidence-building techniques, they are always fun-filled, engaging and motivational. And they drive action and results that ‘stick’. Learning how to present is old-hat. If it wasn’t the world would be brimming with inspirational speakers. It isn’t. We believe you only present to make a powerful impact and to inspire people to think and act differently. Get that skill and the axis of your world changes. You make a positive mark in the workplace with colleagues and customers and socially, with friends – old and new. You become an inspiration, not just a voice. Learn from Mike Stevenson, one of Europe’s most powerful and persuasive speakers. He will speak up for you and give you the confidence and techniques to make every presentation positively memorable. Let Thinktastic help your organisation to leap beyond the job description culture and create innovators at every level of responsibility.In our Innovation Workshops we challenge participants to take on a different role – leader and entrepreneur. It’s a powerful process that empowers people with the new mantra, ‘Everyone is an innovator.’ They leave with a wholly different perspective on what they can contribute to their organisation – and the results are invariably astonishing. Learn how to scale new heights with your customer experience. 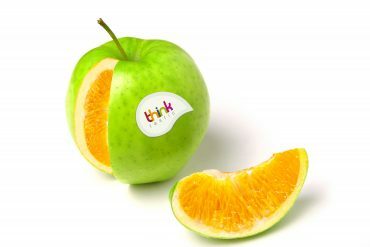 Think Big – using our amazing models to create your own unique first impression through to lasting impression – turning your customers into friends for life and earning an outstanding reputation. Gill Carrie and the BigThink Team make this an inspiring and empowering session using inspirational techniques from their own business experiences and from the world’s very best. From internal teams to a whole community, getting people’s buy in and involvement requires a creative and thoughtful approach. Learn from some of the UK’s most experienced and successful practitioners in the art of engagement to create your own fantastic ways to engage and measure. For one-to-one coaching on any of these themes, please call us for a confidential chat. The positivity, input, engagement our staff demonstrated - exceeded our expectations … excellent and inspiring. Turn your people into internal entrepreneurs.